GrabRewards elite members will enjoy up to 55% off lounge access plus discounts at F&B restaurants at major airports across South East Asia. The following is a sponsored post by Grab. The opinions and analysis are those of The Milelion. 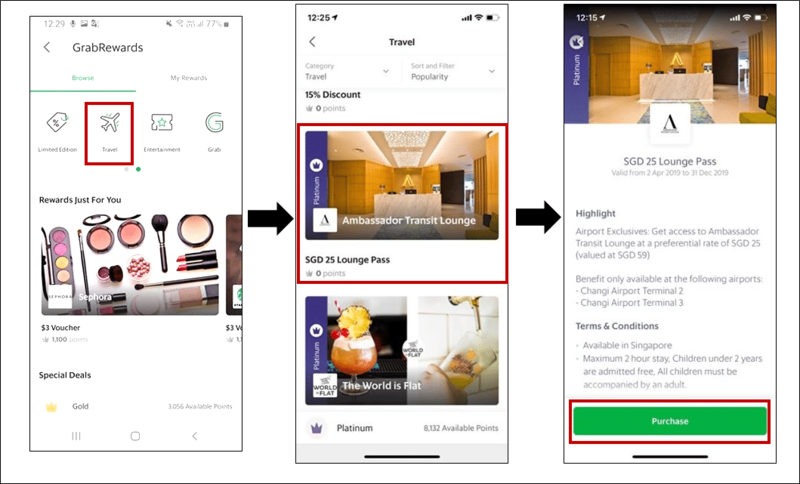 Grab has been doing some work on their GrabRewards program, and one new benefit they’ve just launched today is discounted F&B and airport lounge access for Silver, Gold and Platinum GrabRewards members. GrabRewards members can enjoy discounts of up to 55% off walk-in rates at lounges in Singapore, Malaysia, Indonesia, Thailand, Vietnam, Cambodia, Philippines and Myanmar. The discount you enjoy depends on your status with GrabRewards, as the table below shows. 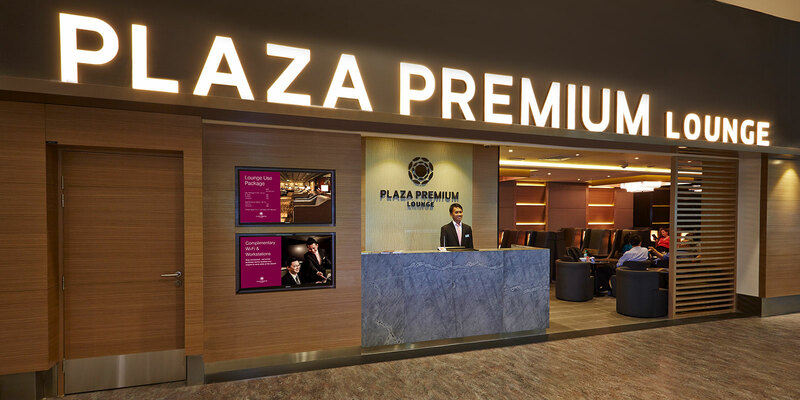 In Singapore, you’ll be able to access the Plaza Premium Lounge in Terminal 1, the Ambassador Lounges in Terminals 2 and 3, and the Blossom Lounge in Terminal 4. I’ve visited most of these lounges before and although they may not have the bells and whistles of an airline First Class lounge, they’re still very comfortable places to escape from the crowds and get some work done. 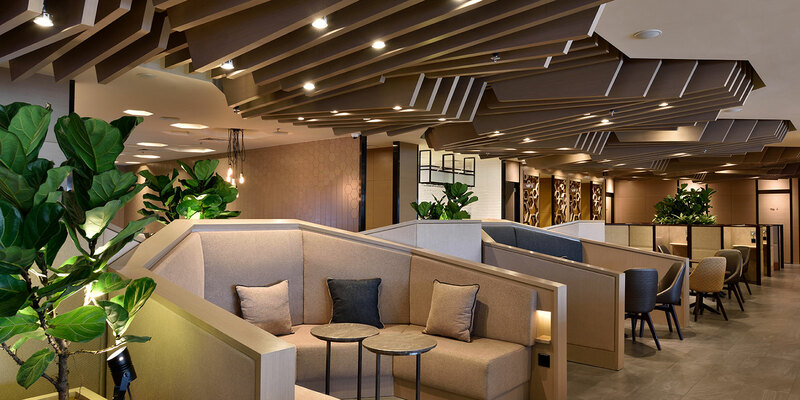 Elsewhere around the region, you’ll enjoy access to other contract lounges like the Miracle First & Business Class lounge in Bangkok, the Sky View lounge in Manila and the Plaza Premium lounge in Penang. To redeem your discounted lounge access, go to the GrabRewards section of the Grab app and select “Travel”. You’ll see a list of lounges and can redeem a discounted lounge pass for 0 points. Show this to the lounge attendant, pay the discounted rate and you’re in. Note that the list of lounges you’ll see in GrabRewards depends on the country you’re currently in. Therefore, if you’re in Singapore, you’ll see only the Changi Airport lounges. You can always view the full selection of lounges on this page to plan your travel. You can claim your discounted lounge access for both yourself and your travel companions. More importantly, it doesn’t matter what status your companions have- so long as one of you has Grab Platinum, all of you can enjoy the discounted rates (up to 5 times per day per user). How does this discounted pricing compare to Priority Pass/Dragon Pass? I’m sure most readers of this site would already have a Priority Pass or DragonPass thanks to their credit cards. 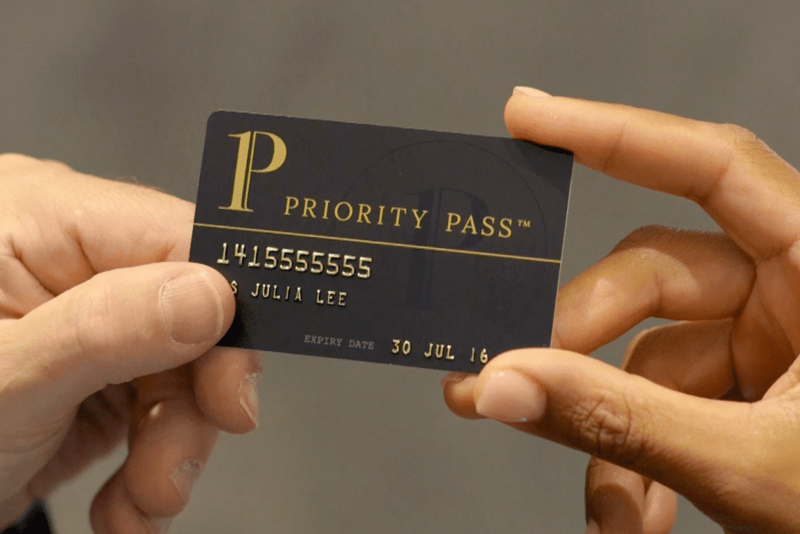 If you have an unlimited use Priority Pass, the kind provided by the Citi Prestige, HSBC Visa Infinite and AMEX Platinum Charge, then you’re unlikely to get much mileage out of this benefit unless the number of guests you’re bringing exceeds your allowance. However, if you have a limited-visit Priority Pass (e.g DBS Altitude, Citi PremierMiles), you’re looking at an additional visit fee of US$32 (increased from US$27 back in Sept 2018) each time. If you’re using DragonPass, the additional visit fee is US$27 (increasing to US$31 from May 2019). In the table above, Gold and Platinum members enjoy better rates through GrabRewards than paying for additional visits on their Priority Pass/DragonPass. Silver members may find better value through taking advantage of whatever walk-up promotions are being offered by the lounge. In addition to the airport lounge benefits, GrabRewards Gold and Platinum members will enjoy discounts of between 10-20% on F&B at selected airport restaurants and fast-service concessions. It’s worth noting that the list consists of restaurants before and after immigration, so you could even enjoy some of these benefits even if you weren’t flying. To enjoy your discounts, follow the same process as for lounge access- find the merchant in the travel section of the GrabRewards app, redeem the voucher for 0 points, and present it to the merchant. The new airport benefits may not make much of a difference to those who already enjoy unlimited lounge access through their cards, but those on limited-visit passes will find the GrabRewards elite rates more worthwhile than paying for additional Priority Pass/DragonPass visits. 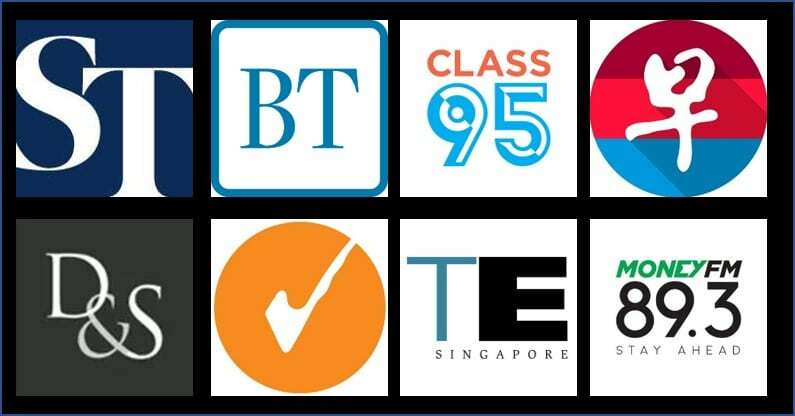 Moreover, keep in mind that 80% of Singapore cardholders prefer cashback cards which don’t feature any lounge access at all. 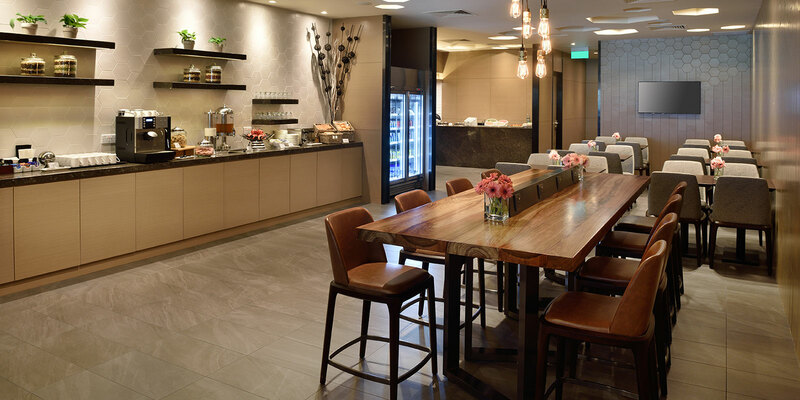 If lounge access isn’t your thing, the F&B discounts at least help to moderate the cost of dining at the airport. 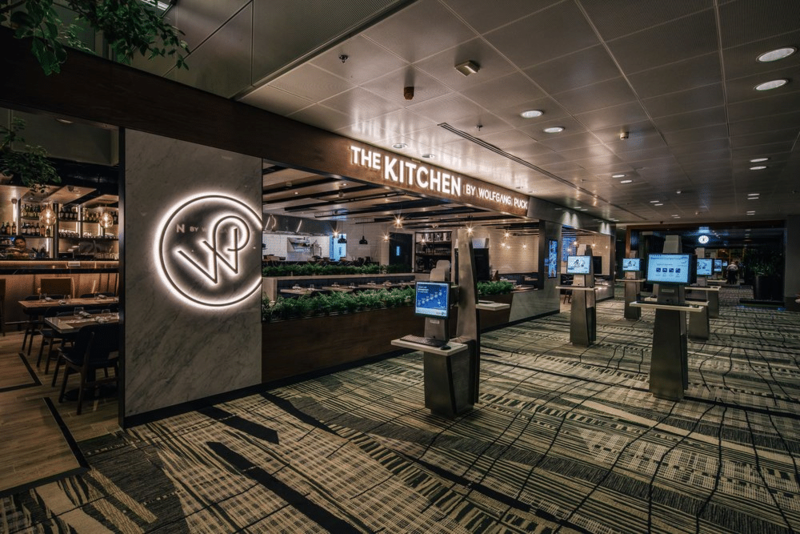 Be sure to check out the list of lounges and restaurants before you head on your next flight! Signing up for cards or making purchases through the links in this article may generate a referral commission that supports the running of The Milelion. Found this post useful? Subscribe to our Telegram Channel to get these posts pushed directly to your phone, or our newsletter (on the right wof your screen) for the latest deals and hacks delivered to your inbox.